As far as unsurprising advances in technology go, a cordless vacuum cleaner was always going to be a sure thing. One thing that we didn’t expect, however, was for it to be implemented so well, so soon. Gtech’s AirRam not only provides the convenience of wireless hoovering, it allows you to do so with all the benefits you would find with any beautifully designed vacuum. We recently managed to get our hands on the unit, and were pretty blown away by the spectacular results we found. The first thing that stands out about the MK2 is, unsurprisingly, the fact that it’s completely cordless (save for when you’re charging the battery, of course). Aside from that, we also immediately noticed that there’s a surprisingly decent build quality to it. 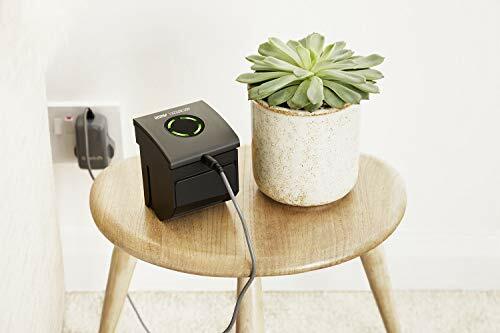 For power, it uses a 22V Lithium-Ion battery which – when charged for 4 hours – provides up to 40 minutes of use; more than the vast majority of us need to run around our modest palaces with the hoover! One really nice aspect of the vacuum is the fact that, while other products might advertise “adjustable” settings for use on different surfaces, the MK2 can go from hardwood floor to carpet without the need for any input from the user. There’s also a lovely AirLOC feature, which essentially means that tiresome and embedded debris which might usually cause problems is picked up much easier than usual; it manages to achieve this with a flap which can be pushed inwards only, meaning that there’s a one-way-only suction chute for dust and other dirt. When you’re done hoovering, it’s easy to empty out the dirt chamber as well – simple detach it from the hoover, and use the ejector arm to slide open the end of the canister in one simple movement. Our MK2 arrived ready-charged, so the first thing we did was to try it out in the house. One thing that caught our attention was the ergonomic design of the hoover or, rather, its ability to easily be maneuvered to tackle awkward corners and easily hoover round table and chair legs. It does this using a nozzle joint which can twist about 45 degrees left and right, give or take. When tackling other difficult-to-reach places, such as skirting boards or under an elevated dresser, the full-length brush bar meant that we could gather debris from spots that most competing vacuums would never be able to reach, purely by nature of their design. On top of that, there are also full-width LED lights which are bright enough to illuminate any crevice, including those which might usually be difficult to see due to their awkward position. The only area in which it failed to adequately compete with other, more portable cordless vacuums – such as the handheld Dyson V7 or DC58 models – was when using it to hoover stairs. That said, since its bigger form makes it much easier to take care of larger surfaces, it’s a compromise we were happy to make. 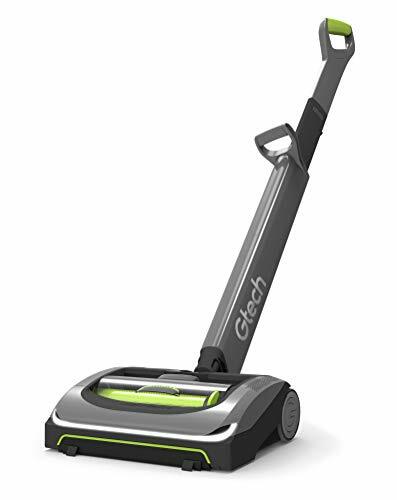 Ultimately, the main outstanding feature of the MK2 isn’t the fact that its cordless or any of the other nice bells and whistles that Gtech have thoughtfully included; it’s the fact that it manages to do all of those other things without losing the suction or ease-of-use of any well-made conventional vacuum cleaner.